HONOLULU (AP) — Hawaii has agreed to pay $585,000 to settle a lawsuit filed on behalf of two former foster children who were sexually abused by their Maui foster parent. The lawsuit filed in 2014 claimed state Department of Human Services officials were negligent and should have known that Florentino Rios was unfit to be a foster parent. 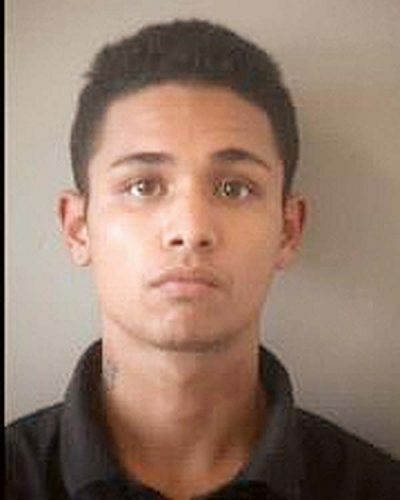 Rios, who went by the name Zack Morris when he moved to Hawaii, was convicted of sexually assaulting three boys who were placed in his care from 2009 to 2011, the Honolulu Star-Advertiser reported Sunday. He is serving a 20-year prison sentence on Oahu. A background check under his new name as part of the foster parent licensing process in 2008 “did not uncover any information” that raised concern about his suitability, according to the state attorney general’s office. Before moving to Hawaii, New York authorities found that Rios and his wife had provided inadequate guardianship for their 4-month-old son after the baby was found with multiple injuries. Their child was temporarily placed in foster care. The 2003 encounter with New York authorities wasn’t flagged during the foster care licensing process, an attorney for the former foster children said. After a boy was placed in Rios’ care in Hawaii, he claimed the youth assaulted him, according to court documents. The boy told authorities Rios had sexually abused him. The Department of Human Services classified the sexual abuse allegation as “unconfirmed” following an investigation. The boy was removed from the house. Rios had filed lawsuits against the department, claiming discrimination and unlawful investigations in 2010. Two brothers were later placed in his care, and the younger child reported sexual abuse. Jon Jacobs, a lawyer for the two former foster children, said the “survivors are seeking closure.” He declined further comment. A spokeswoman for the department referred questions back to the attorney general’s office. The settlement is being submitted to state lawmakers for approval.